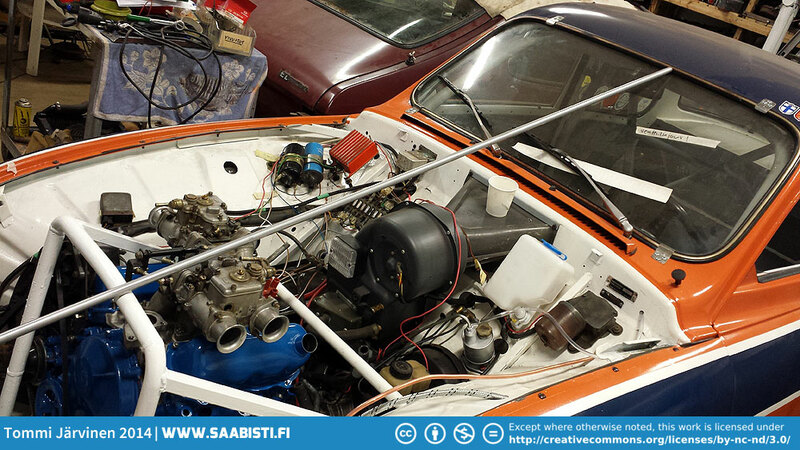 I haven’t written in a while since we hit a little speed bump with the Saab 96 V4 Rally some weeks ago. 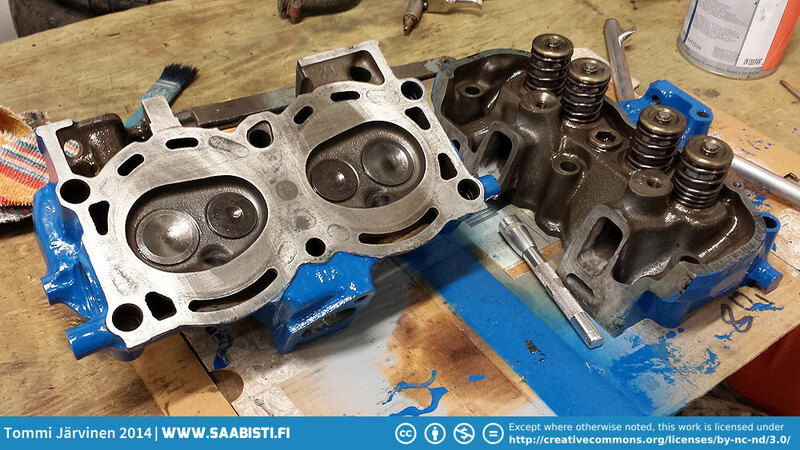 When I started to put the heads together I found out I had received only seven heavy-duty valve springs! 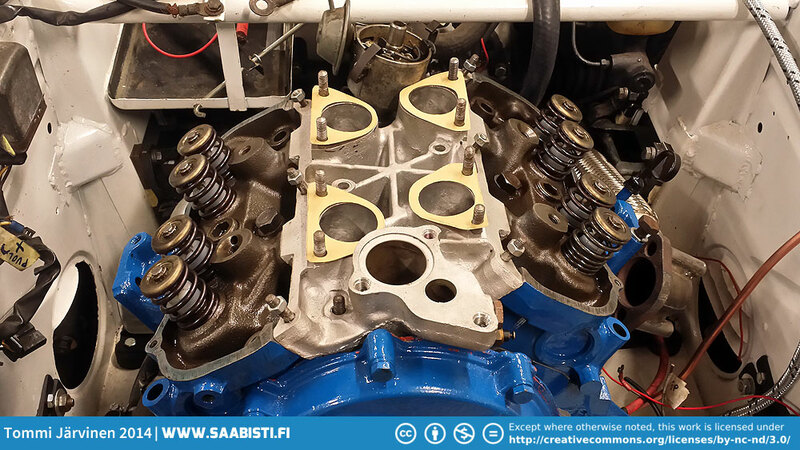 I contacted classicsaabracing about the problem and they promised to sent a new valve spring my way. Unfortunately it was not the correct type. 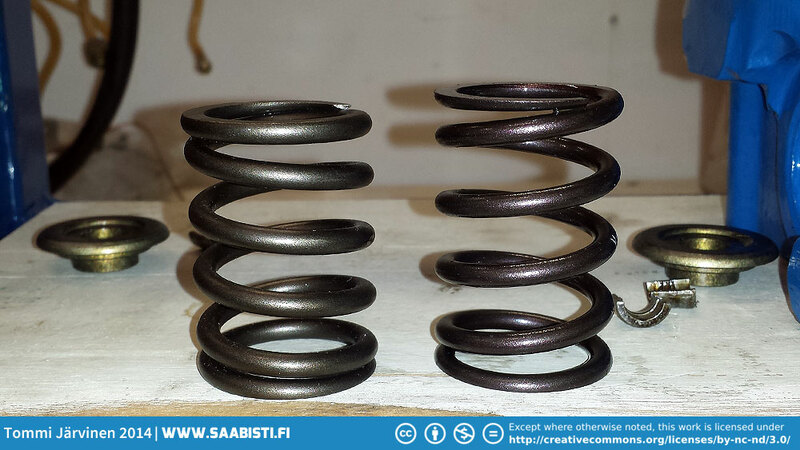 I notified classicsaabracing about the problem and they promised to try to find the correct spring. But, as it turned out, the correct spring was not to be found at this time (they didn’t have any of the type I had), and the decided to send me a complete new batch of springs. So, at the moment I’m waiting for the postal services to do their job. There’s not a whole lot I can do before I can put the heads in. 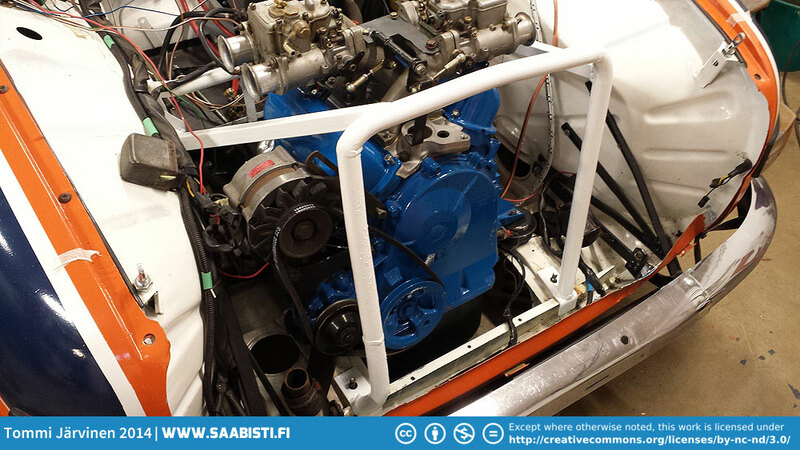 We did mock-up the engine though to build a little rollcage to protect the carburetors. A few pictures of it below. I started to put the cylinder heads together but noticed that I was missing one valve spring. classicsaabracing sent me a new spring but it was the wrong type. 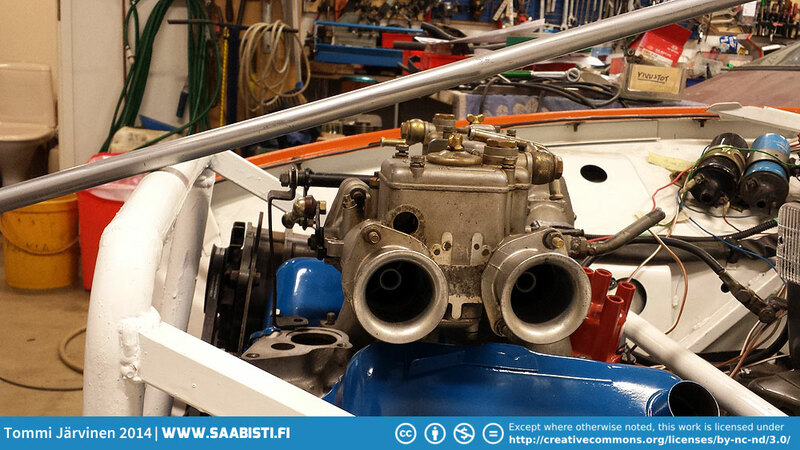 To make some progress we started to put intake and carburetors together temporarily. 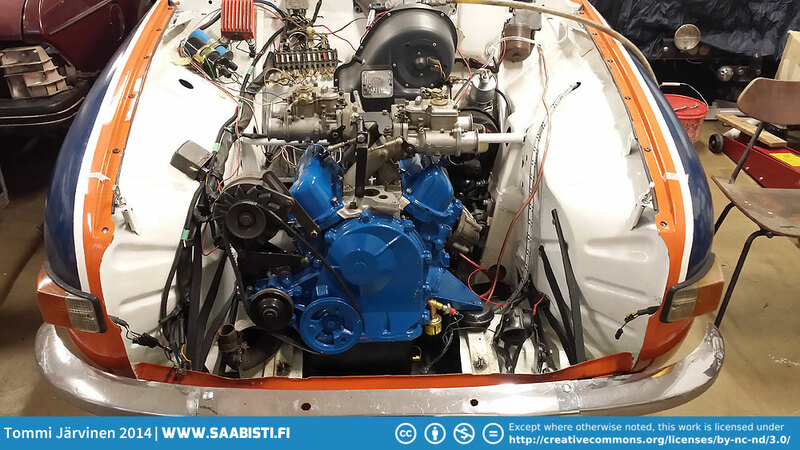 If the car rolls the carburetors and intake are easily damaged. 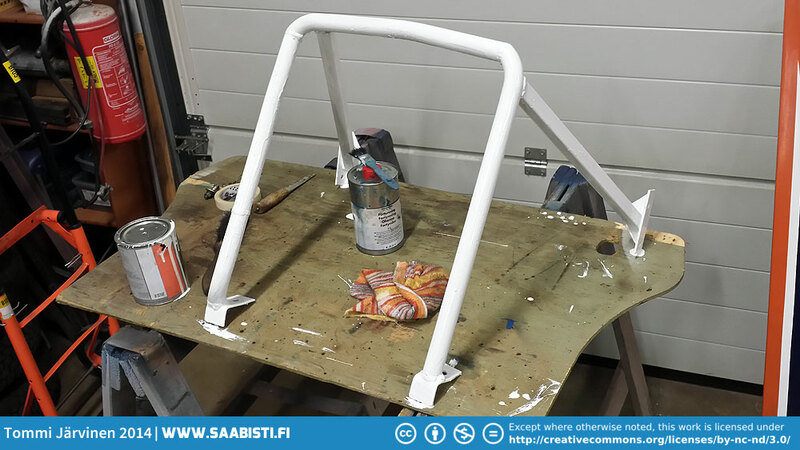 To give them at least some protection we made this little rollcage. If the car rolls the cage will hopefully take the contact instead of the carbs. 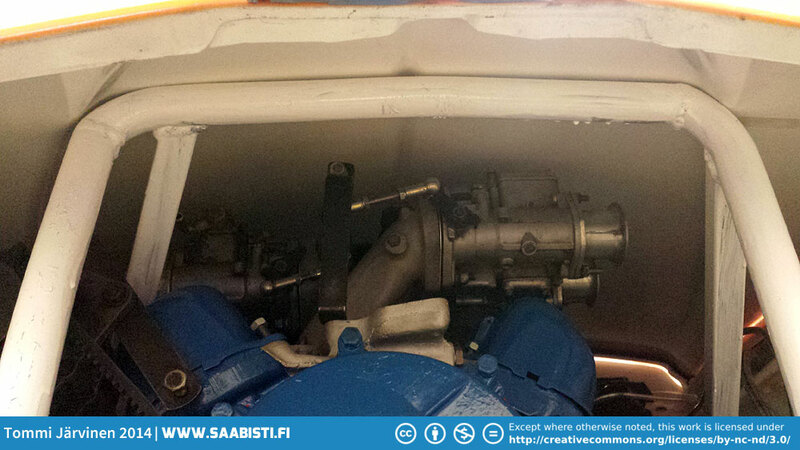 And the carburetor protection seen from below.